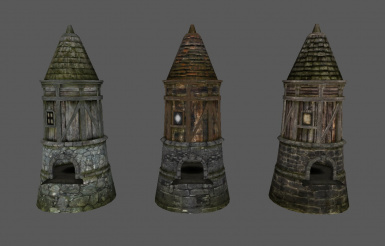 This is a mesh resource that contains three new windmills based on the Whiterun windmill. The meshes will be featured in my Total Conversion in the distant future and I thought other modders could use them for their own mods. Do whatever you like with the texture but please give me credits.